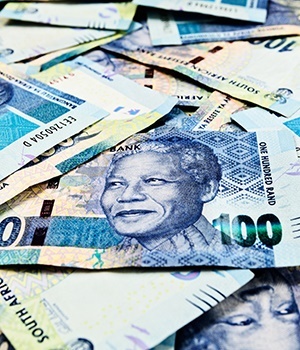 The rand made gains on Monday morning, along with other emerging market currencies which have been on the front foot since the US and China reached a truce on trade matters, according to an analyst. The local currency, which opened at R13.72/$ on Monday morning gained as much as 1.85% by mid-morning. By 11:55, it was changing hands at R13.61 to the greenback. This follows a slight deterioration last week, ahead of US President Donald Trump's meeting with President of the People's Republic of China Xi Jinping this weekend, Bianca Botes, corporate treasury manager at Peregrine Treasury Solutions explained in a market update. "The two presidents agreed to a theoretical ceasefire in terms of increases in tariffs by the US from 10% to 25%. The trade war truce is due to last 90 days, and is set to enable the two countries to renegotiate trade terms. "Investors, who had been spooked by the trade wars, are certainly relieved. The rand recovered to levels against the dollar in the low R13.70s on Monday morning pre-trade," said Botes. Analysts from NKC Economics also attribute the rand's gains to the trade truce between US and China, and expect the currency to trade within a range between R13.60/$ to R13.90/$. This week will see local data releases including third quarter GDP and vehicle sales for November. Manufacturing PMI for November was released earlier on Monday – the index was up to 49.5, from 42.2 reported in October. This is the first improvement in four months, the index has been below 50 for nine-months, Bloomberg reported. But Botes explained local factors, such as the data releases, would only contribute to 30% to the movements of the rand. "We will still keep an eye on events in the US as well as Europe and the UK – especially from a political standpoint – to deliver volatility in the local market." Botes expects trade to range between R13.65/$ to R13.87/$. Andre Botha, of TreasuryONE however believes local data could either "enhance the momentum or stop it dead in its tracks". Botha said that poor GDP data could put the rand on the back foot. "The weekend news of load shedding will also impact on the rand should this continue for an extended period as this will have an impact on growth and perk the ears of rating agencies again, and start the snowball rolling," Botha warned. He added that other global developments such as US Federal Reserve Bank chair Jerome Powell's testimony before congress as well as US non-farm payroll figures could give the market direction. "We could be in for quite a volatile week," he said.